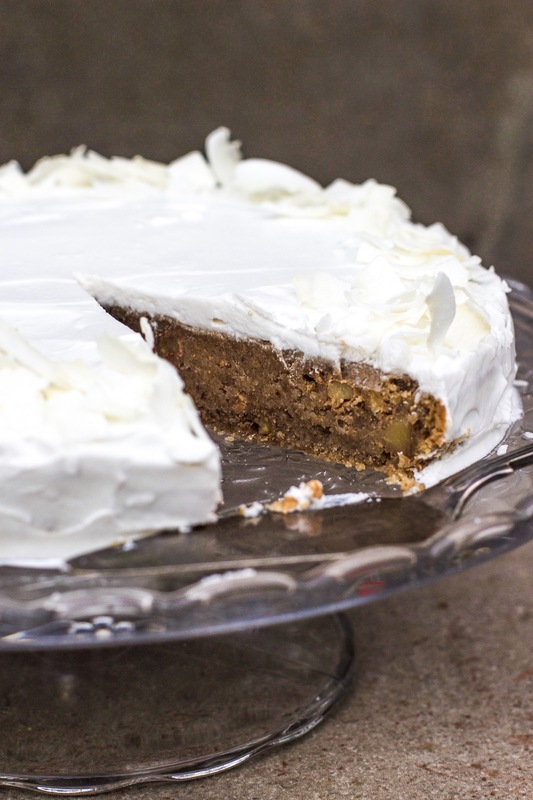 If you’re into banana bread and you love carrot cake this one is for you! It’s basically cake shaped banana bread with walnut chunks and a gorgeous, whippy coconut frosting. If you have something really special coming up, you can double the recipe to make a layer cake but it’s perfect as is. Add the oat flour to a large bowl with the ground almonds, cinnamon and baking powder. If you’re making your own oat flour- just blend 180g of gluten free oats in your blender until fine. Mix it all together well. Add the chickpea water, banana, maple syrup, nut milk to your blender and blend until smooth and runny. While mixing, pour the wet ingredients into the dry and mix until you have a smooth, thick batter. Roughly chop the walnuts and stir them into the batter. Lightly grease your cake tin with a little coconut oil and spread the mixture out evenly in it. Bake at 180’C for about 40 minutes, then set it aside to cool completely on a wire rack. When it has cooled, remove it from the tin and make the icing. Add the coconut yoghurt and maple syrup to a large bowl and use and electric whisk to whip it well until stiff and airy- about 5 minutes. 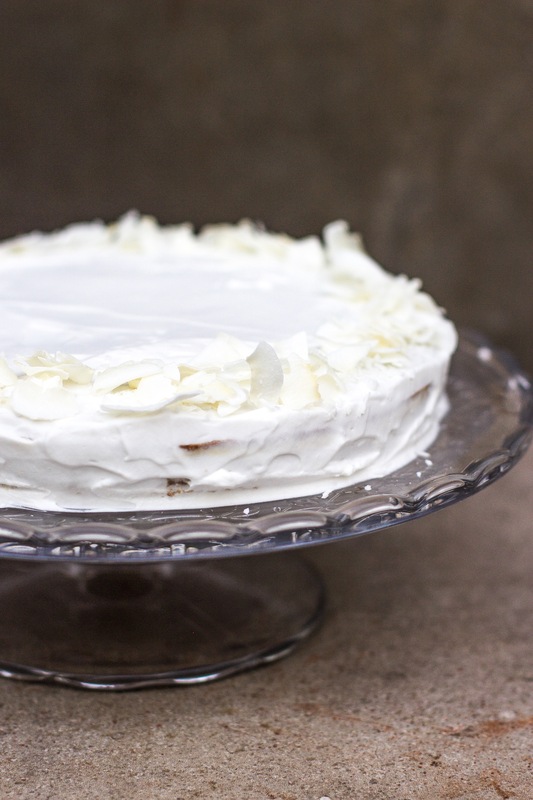 Ice the cake and decorate it with coconut chips.